Horses helped settle the country, and we owe them more than to turn them into chopped patties. Horses are not raised for food here, and they are typically dosed with a variety of drugs not appropriate for human consumption. And since there's no market for horse meat in the United States, it's entirely an export market, to the dwindling number of countries that tolerate horse-eating. Obviously, we as a nation have many horses without homes. 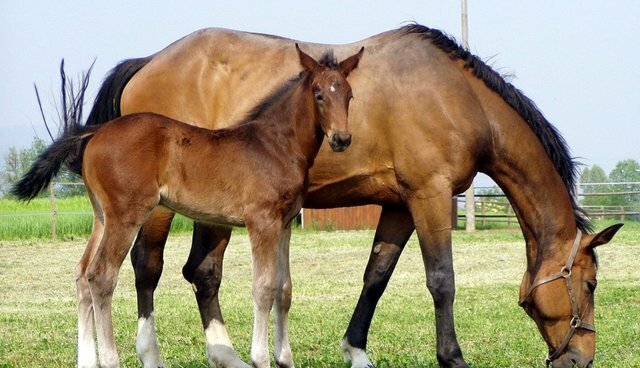 It's best to get those horses to potential adopters or to rescues or sanctuaries. When that's not possible, horses can be euthanized, a more humane option than random-source collection, long-distance transport, and inhumane slaughter at plants where they can see or hear other horses being killed right in front of them. When faced with this brutalization of their fellow victims, their eyes open wide like saucers and they experience fear and even terror, based on our undercover investigations of these plants in the United States, Canada and Mexico. "Horse slaughter has no place in American society and this amendment affirms that Congress does not condone this inhumane practice. These iconic creatures are a proud symbol of the American West that should be treasured for their beauty and treated humanely, not killed for export," said Rep. Moran. "The American public has made clear they oppose horse slaughter and today's vote reflects the will of the people." Now our job is to get the Safeguard American Food Exports (SAFE) Act passed, which would not only permanently bar horse slaughter in the United States, but also prevent the live export of horses to our North American neighbors for the purpose of slaughter. We call on the House and Senate leaders to bring up those bills for a fair vote before the end of the year. We don't set up dog and cat slaughterhouses because we have some homeless companion animals, and then ship the meat to some outlier foreign country. We shouldn't adopt that practice for horses, either. Our economic decisions must always be guided by our values, including our opposition to cruelty and our recognition of the special place that some animals have in our culture.